No feature in a home captures the imagination like a secret compartment or secret passage. But no secret compartment is complete without a secret way to open it. 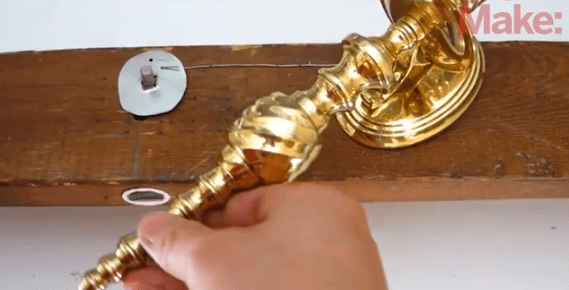 In this project, I share several ways that you can use a simple hanging candlestick (or anything else) to access a hidden compartment. There are a lot of ways that you can do this. You can use a candlestick to open physical latches and activate electrical circuits. The only limitation is your imagination. So use this as an excuse to have some fun and build a secret compartment in your house.